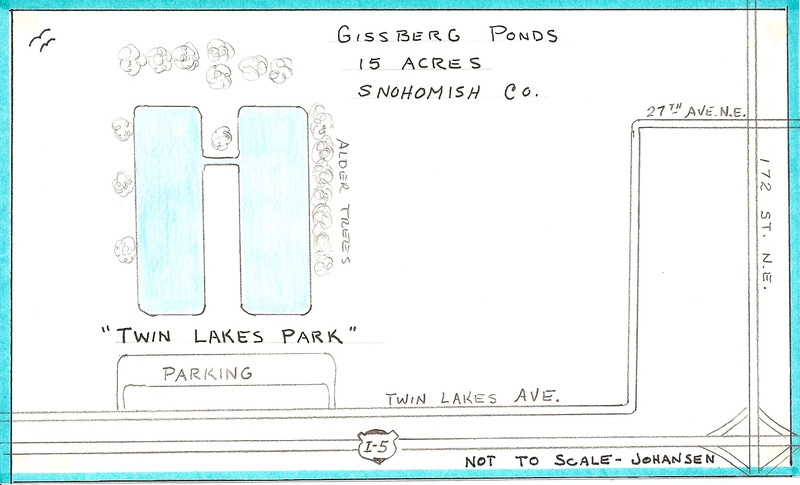 Gissberg Ponds-Snohomish County: There are two 5 acre ponds here located just west of I-5 and south of Smokey Point Inn. Take exit 206 off of I-5 drive west on 172nd NE to 27th NE then south to 169th NE and east to the frontage road. The lake holds rainbow plants and spiny rays, including bass. These ponds have also been called Twin Lakes, which adds to the confusion of the other half-dozen Twin Lakes.